I am so excited! 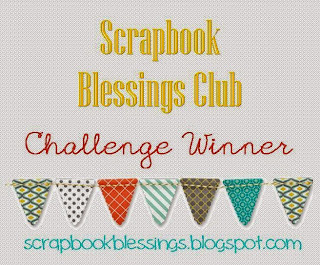 I won the challenge over at Scrapbook Blessings Club!! Go here to check it out. WOO-HOO!! Congratulations Brenda. That is such a cute card. Happy for you! Congrats on your win! That card is super cute. I like how you used two ribbons. Such a cute image. Congratulations Brenda! All of your cards were super cute! Head on over to Scrapping for Less to join the group...PM me if you need to and I can explain how to redeem your gift certificate. Congrats Brenda. You really deserved it! Congratulations! Great job, and fantastic card! Yay! What did you win? Congrats!